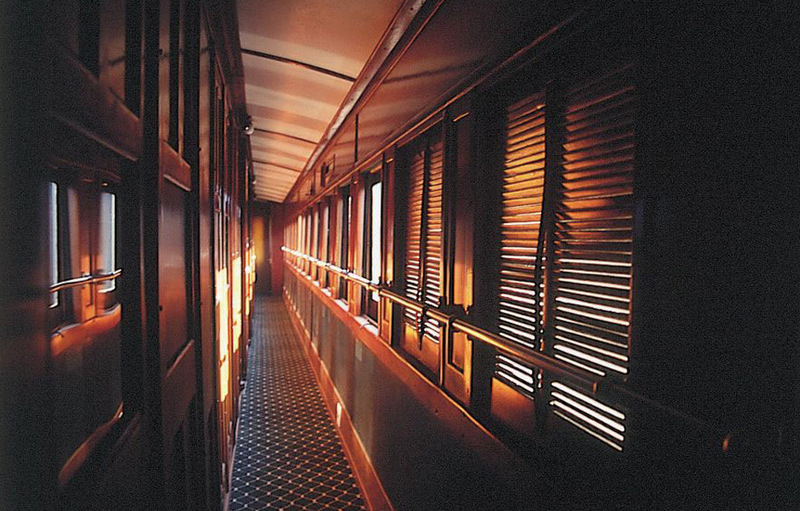 There is something very special about climbing on board a fully restored, elegant wood-panelled steam (and electric) locomotive bound for nine delightful days of adventure. 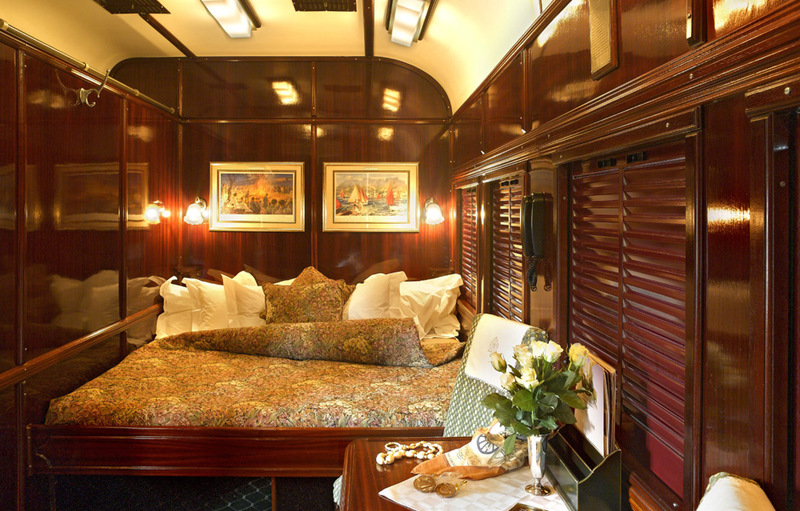 African Fairways invites you aboard Rovos Rail, the most luxurious train in the world for a truly unique romantic rail and golf safari experience. Departing from South Africa’s executive capital city, Pretoria, this memorable nine day journey will take you to the heart of the Kruger National Park, and then meander through Swaziland, before moving on to the battlefields of Zululand. 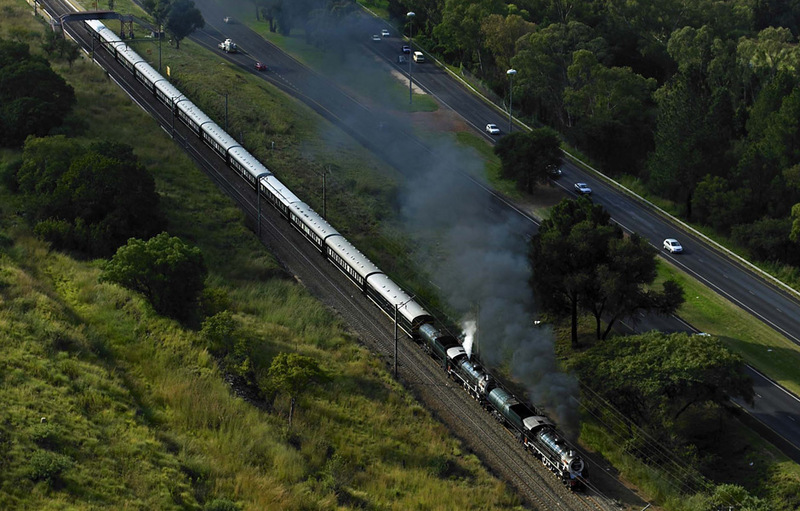 From there you’ll stop in Durban, before bearing witness to the imposing Drakensberg Mountains. 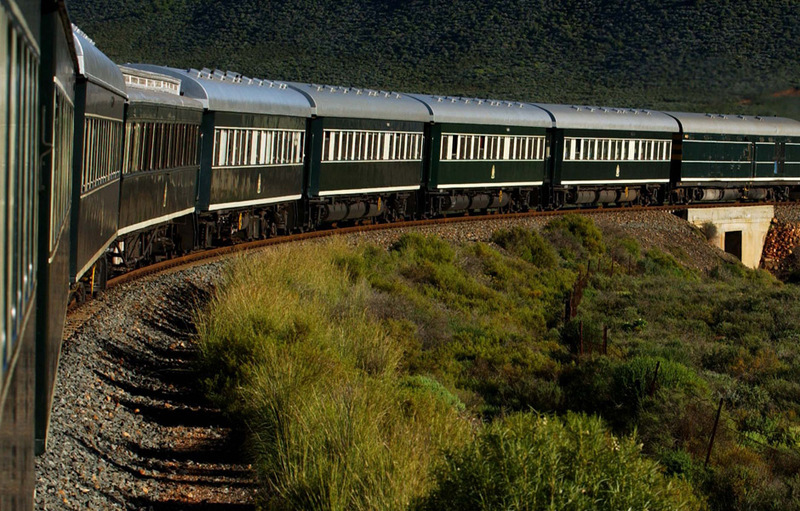 Relax as the train turns northwards towards Sun City, Africa’s kingdom of pleasure. Your journey ends where it began in the Jacaranda-lined streets of Pretoria. Ngwenya Glass Factory is an inspiring success story about a small group of Swazi craftsmen and women who practice the age-old art of glassblowing. Creating enchanting personality-filled interpretations of the animals and birds of Africa from 100% recycled glass their artwork deserves a place of honour in your home. The recycled glass is sent to Ngwenya from all over the Swazi Kingdom as the people of Swaziland and school children in particular are educated and encouraged to collect the bottles and thus gain a sense of environmental awareness. The Royal Swazi Sun’s spectacular championship golf course plays out across the slopes of the Lebombo Mountains. The par 72 course is 6,166m and boasts immaculate Durban Country Club grassed greens and Kikuyu fairways. All guests enjoy an early morning game drive in the Hluhluwe Game Reserve in Zululand. The reserve is the oldest proclaimed reserve in Africa, it is world renowned for its save the Rhino campaign, game capture programme and its conservation awareness programmes. Smaller than the Kruger National Park and covering an area of 96 000 hectares, Hluhluwe offers visitors the opportunity to discover the wildlife in a smaller area. Disembark at 09h00 for a city tour of Durban followed by lunch with the golfers at the Durban Beachwood Country Club. Durban is a cosmopolitan city of over three million people, a melting pot of cultures where east meets west. Well known for her sunny beaches and balmy tropical climate, Durban also has a vibrant art, architectural and historical side to her fun-filled personality. Durban is also the home of Africa’s best managed and busiest port. Golfers tee off on Durban Country Club’s Beachwood Course at 07h20. The course is currently ranked 29th on the Golf Digest Top 100. Lying at the southern end of Virginia Airport, it’s quite exciting to see all the light aircraft as they take off and land. It is a challenging course with fairly narrow and long fairways which require precision tee shots and lay-ups. The Spioenkop Battlefield in Ladysmith is a historical site where many lives were lost and much bravery was shown by soldiers of both sides in an epic battle. The graves, trenches and monuments stand as start reminders of the 118 day siege of Ladysmith during the Anglo Boer War. The All Saints Church build in 1902 bears the names of more than 3000 British soldiers who lost their lives in the battle to relieve Ladysmith. Ranked 33rd on the Golf Digest’s SA Top 100 for 2012, Champagne Sports Resort’s 18 hole Championship Golf course is a masterpiece. There are 84 well appointed and shaped bunkers lining the Kikuyu fairways and L93 bent-grass greens on this immaculate course. Even in winter, the greens remain green, receptive and true to line. 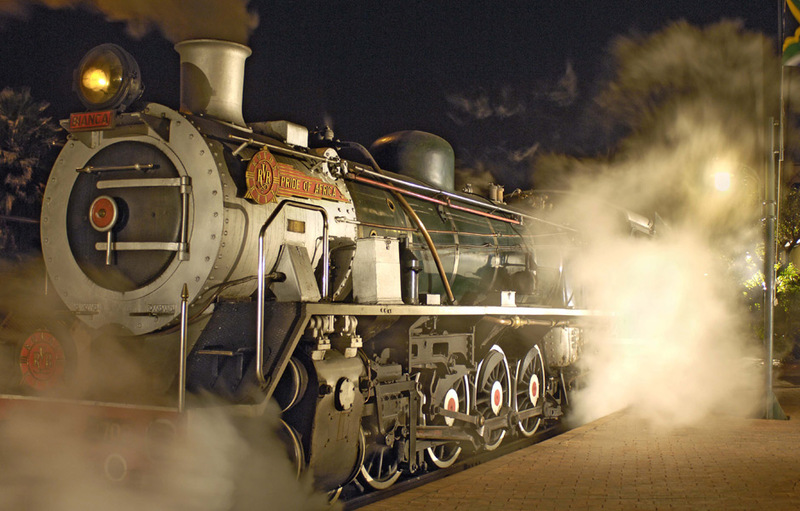 The train departs from Ladysmith at 07h00 for Sun City. 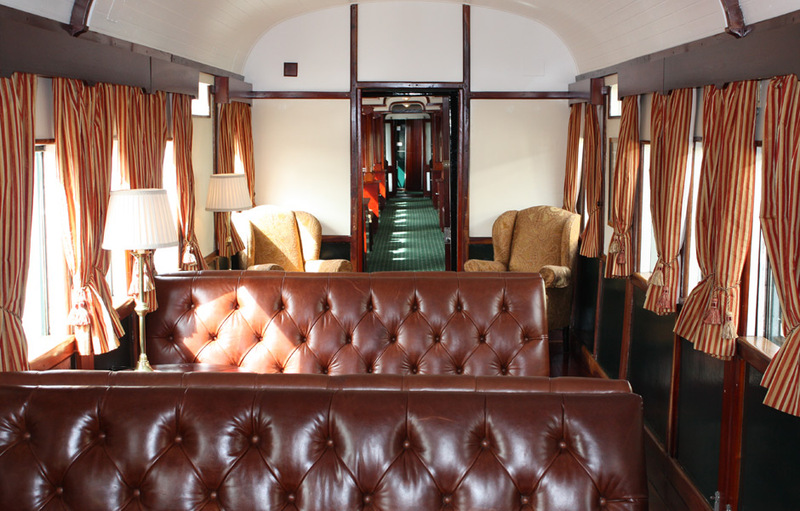 Enjoy a day at leisure on the train. Situated in the Bojanala Region of the North West Province, the Pilanesberg National Park is one of the most ambitious programmes of its kind to be undertaken anywhere in the world. In 1979 Operation Genesis involved game-fencing of the 580 km park, which now has in excess of 7,000 animals. The park has a healthy population of Africa’s Big Five as well as almost every other mammal in the Southern hemisphere. Currently sitting in 3rd position (2012), the Gary Player Country Club is consistently one of the highest ranking courses on the Golf Digest’s “South Africa’s 100 Greatest Golf Courses”. Drawing on his vast international course experience, Gary Player designed this course to test every golfer’s power and finesse. The first course in South Africa to be built to stringent USGA specifications, it measures a massive 7,162 meters off the professional tees and loses none of its integrity when played off the intermediate or forward tees. The Gary Player Country Club has been home to the prestigious Nedbank Golf Challenge since 1981. The course’s greens are lightening fast and the Kikuyu fairways perfectly manicured. Coupled with constant changes in elevation, imaginative bunkering and spectacular water hazards, even the most seasoned professional will be challenged.